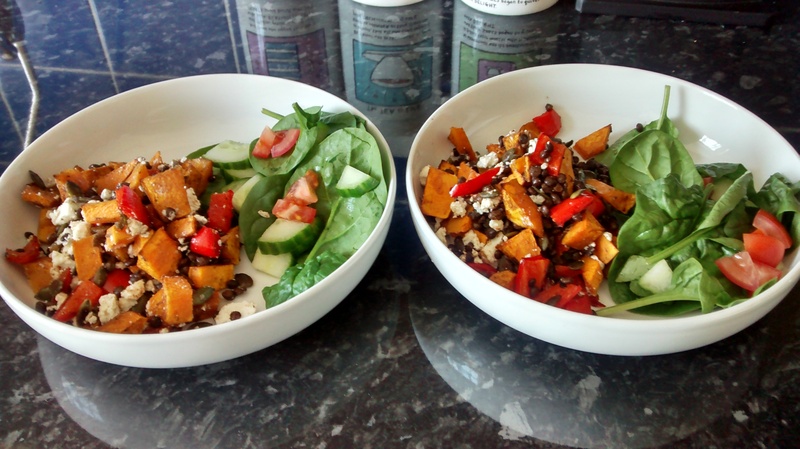 It’s not often that I’m at home for lunch, even at the weekends, so last Sunday I thought I’d treat myself to something a little different – Roasted Squash with Lentils and Goat’s Cheese! I usually have this as a main meal but I think it works equally well as a more substantial lunch. I also had plenty left over for Monday’s packed lunch – bonus. It’s adapted from a Waitrose recipe card stolen from my mum’s kitchen! Salad to serve – rocket or spinach is nice! I cut this down into 2 large servings but only using half the butternut squash and half the lentils. Preheat your oven to 190°C (fan). 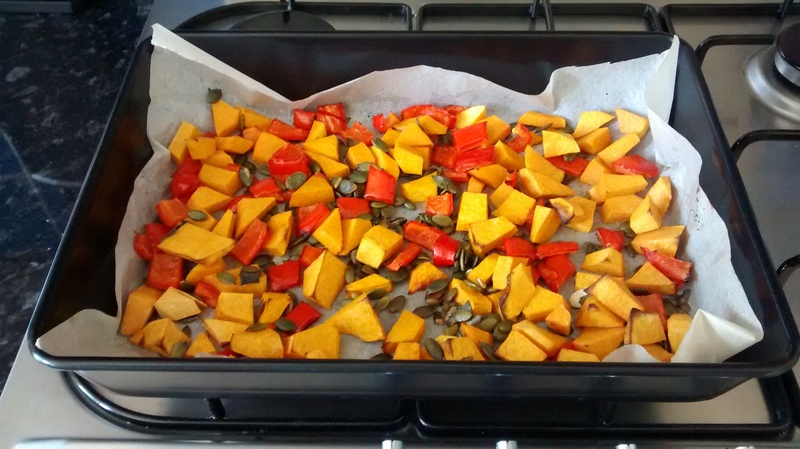 Line a baking sheet with baking paper and mix the squash, pepper, sage and seeds together with the oil. Spread them out into an even layer and bake for 30-35 minutes until lightly browned. Tip everything out into your serving bowl(s) and leave to cool for a few minutes, then carefully stir in your lentils, balsamic vinegar and crumbled cheese. Yum! To use up the rest of the butternut squash, I added it to some mashed potato for last night’s dinner. I still need to think of a way to use up the remaining lentils…The last time I made this dish, I put them in a lasagne. When I put in front of my boyfriend he was disgusted: ‘Where’s the meat?!’. 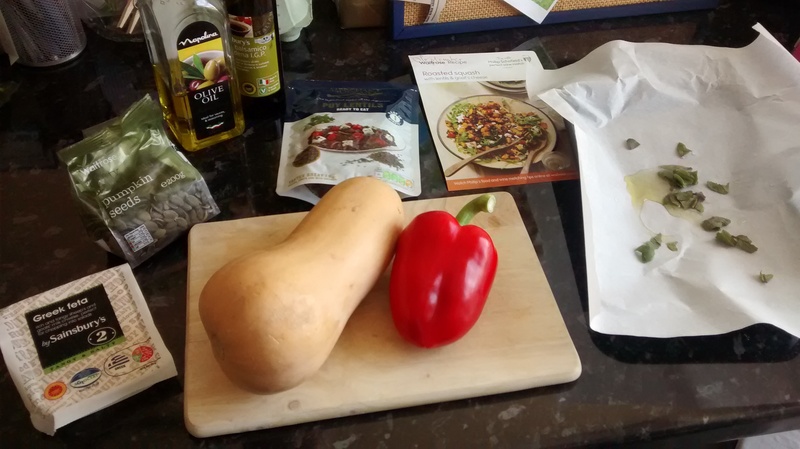 That pack of lentils also had some quinoa in them – it was a pretty earthy tasting lasagne, safe to say I won’t be making that again! Hope everyone has had a great few days in the sun – let’s hope the bank holiday weekend is just as nice!